As children, one of the first things we learn to do for others is share. 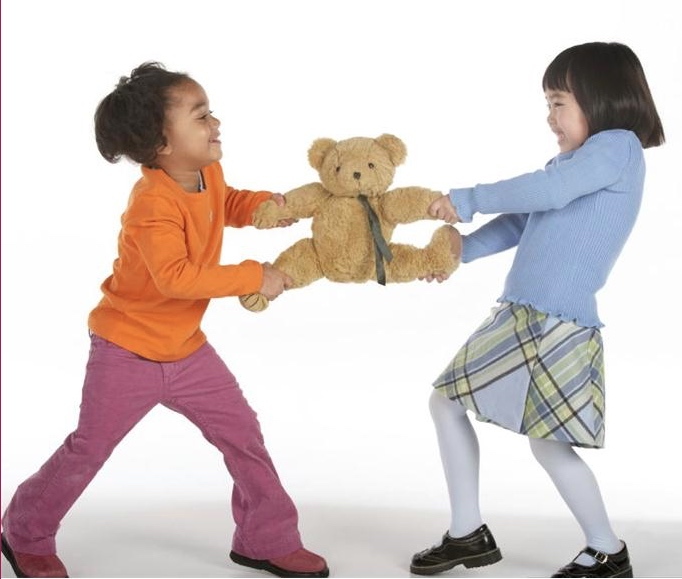 Everyone has seen two angry toddlers playing tug-a-war with a favorite toy and screaming the word “MINE!” at the tops of their lungs. It is at that precise moment a mature adult comes in and orders the children to share. If you observe two wonderful, sweet toddlers in this scenario you will conclude that we are innately selfish as humans. No parent directly teaches a child to be selfish just as no parent teaches a child to lie about taking a cookie from the cookie jar before dinner. Somehow, in the course of the human experience, these traits are formed. We are averse to sharing freely. When communicating, we use the very same method of sharing as toddlers. We freely share those things that are least important to us; things we do not care if others know. However, we keep our most sensitive topics to ourselves the way a toddler keeps her favorite toy. Your story may not be for mass consumption. It may not be for everybody to know. But, surely there is a someone with whom you can share your story to help along the way. When was the last time you shared something about your life that was uncomfortable? First, it is cathartic to tell the story. Sharing your story is a reminder of how faithful God is to you and to others. In addition to being a cleansing experience for you, sharing your story can be beneficial to others. All of us have storms in our lives we would rather forget and leave behind. However, you can be a great help to someone who is currently in a personal storm. Lastly, the decision to share your story is an investment for your next personal storm. If you do not take the time out of your busy sunshine day to help someone in the rain then you can bet your bottom dollar that when the rain comes to your life…and it will come again…that you will want someone to share something encouraging with you to get you through it. Sow and Reap! #1 Be Selective; Your story may not be for mass consumption. You can have a significant impact on many people, one person at a time. Unless you feel confident that you are ready to blast off to the world, be selective in sharing the story with those who might benefit from it, not simply those who are interested in hearing it. Be prayerful in determining when and what to share. #2 Be Reflective; If you are going to share your story, be sure to share the honest truth. It is easy to write yourself as a super hero once the battle is over and done. Try to share from the space you were in at the time. Share about your fear, your uncertainty and your pain. People are in need of honesty and transparency about their trials in order to know that they are not alone in what they feel. #3 Be Effective; Do not share the story without the glory. Share how you made it through the tough times. Talk about what you did that worked and what you would do differently if the situation were to ever arise again in your life. Not all stories have happy endings but they should all have a lesson to be learned. Stop sharing your story like a toddler. Share the things you would least like to share. It is that particular story that will probably be the most effective in healing the hearts of those that hear it.